It’s made using lemon peels, clear liquor, and simple syrup and is generally served chilled as an after dinner sip. And guess what….? It’s super easy to make your own! It also bottles up perfectly for gifts and I’m even providing some adorable little gift tags for you guys too! Win/win! Begin by removing the peel from the lemons in strips, with as little pith as possible. 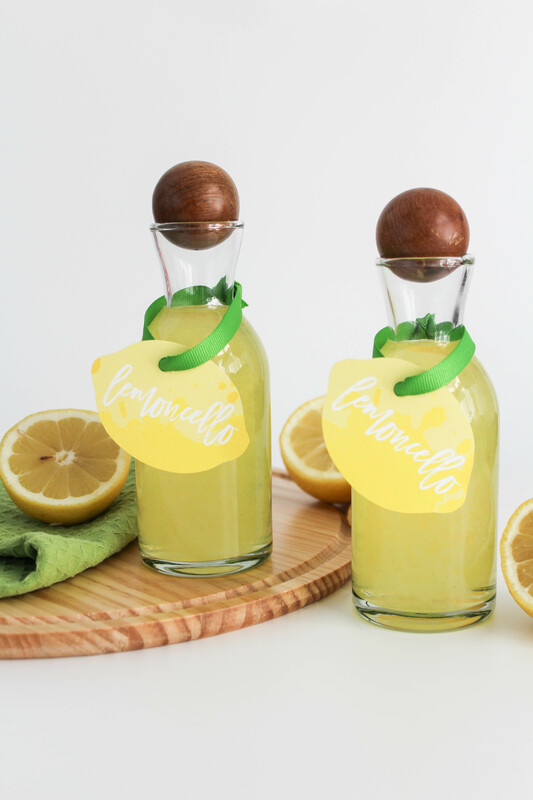 (The less pith you have on your peels, the less bitter your limoncello will end up!) I used a vegetable peeler first and then trimmed the extra pith away with a small knife. 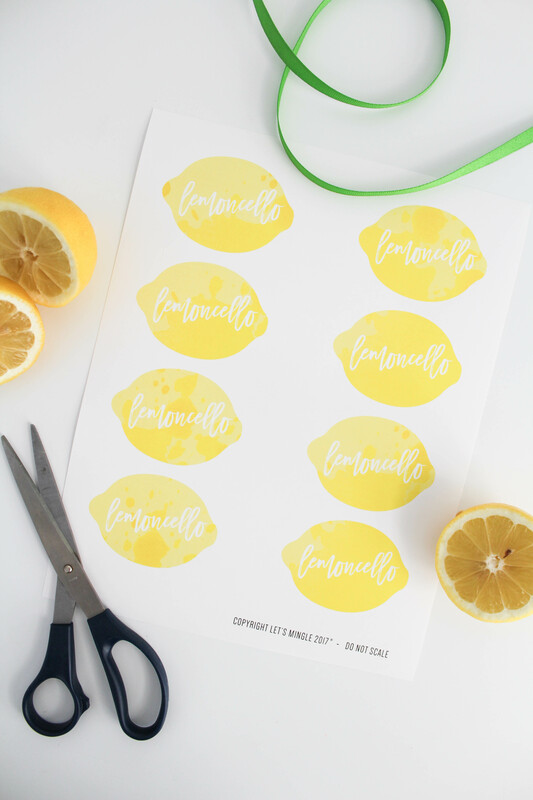 Place all of your lemon peels into a large pitcher or container. Steep the lemon peels in the vodka for at least one week, or up to 4 weeks, at room temperature, in a cooler, darker space, like a pantry or basement. The longer you choose to steep your peels, the more lemon flavor your alcohol will have). Once your peels have steeped for as long as you prefer, it’s time to make add some sweetness! Add your water and sugar into a large saucepan and stir over medium heat until the sugar dissolves. Allow the mixture to cool completely. Once cooled, pour the sugar mixture into the vodka mixture. Cover the mixture again and allow it settle in the same cooler, darker space overnight, or for up to one week. 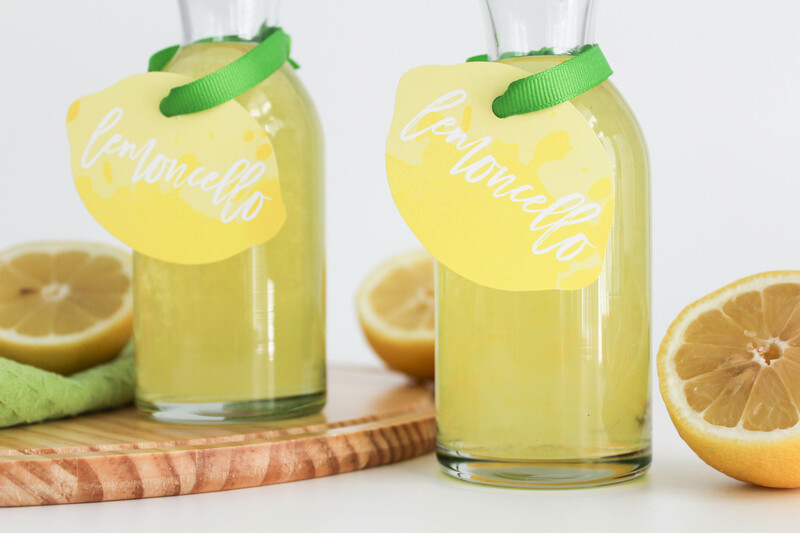 Once your limoncello has settled, strain the mixture and discard the peels. You can also strain the mixture a second time, through a coffee filter to eliminate more remnants. 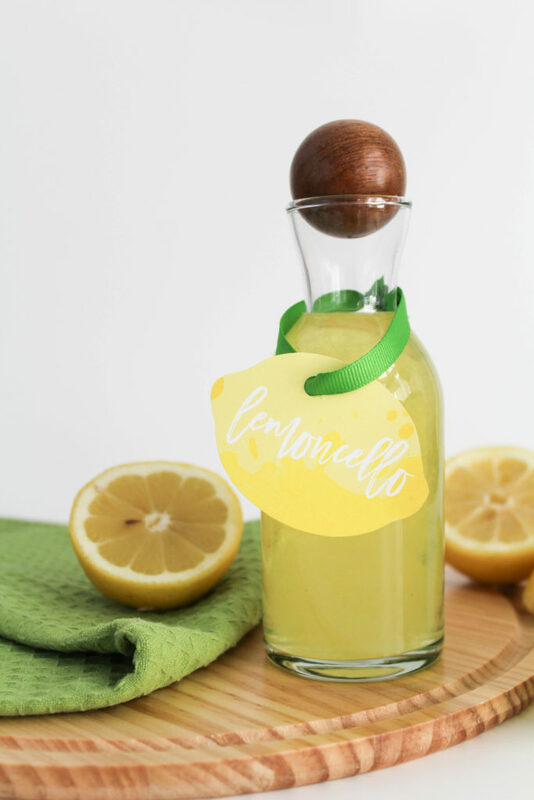 Pour the finished limoncello into small bottles or jars. Seal them and refrigerate them until cold. It will last up to one month in the fridge and even longer in the freezer. 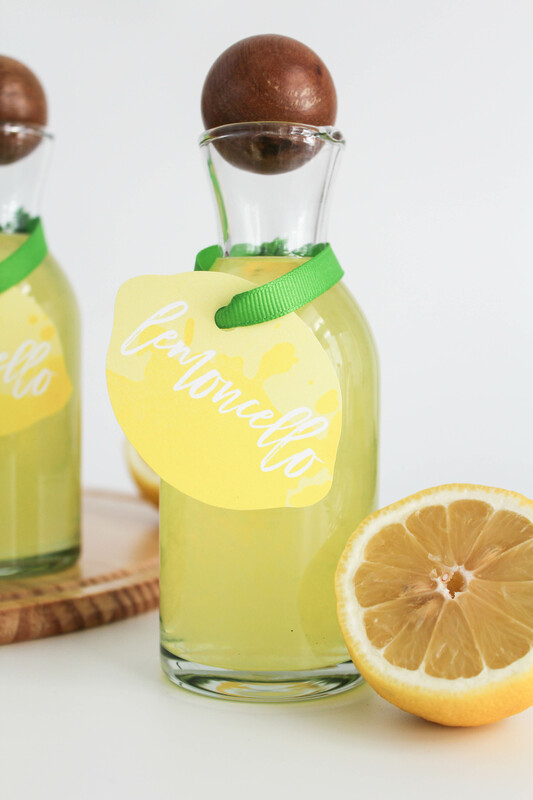 Add the lemon tags onto each bottle, using a hole punch and ribbon, and give them out as gifts or enjoy them all to yourself! They would make the perfect little addition to a gift basket!